The backup proxy retrieves data blocks from the backup repository or a datastore in the target site. 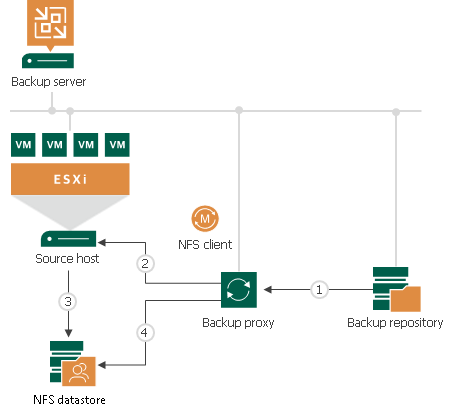 The backup proxy sends a request to the ESX(i) host to restore data to an NFS datastore. The ESX(i) host allocates space on the NFS datastore. Data blocks obtained from the backup proxy are written to the NFS datastore over LAN.